Versatiledogs.com was created to promote the sporting breeds through viewer feedback and participation by people who use their dog for what they were bred for - hunting! You can learn more about your breed and training your dog, find a kennel or litter, and socialize in the forum when the days get long. We want to enourage you to post your input on your favorite breed, useful dog information, and help answer other owner's questions. Christie Bliss and Karl Grindley. 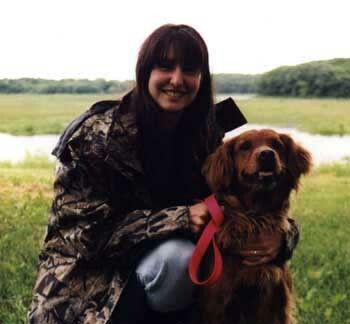 Versatiledogs.com's mission is to benefit the gun dog community by providing educational information, high-quality resources, and online exposure. We achieve this mission through free access to advice and articles, gundog photos, forum and message board, as well as free contribution to directories, classified ads, and links. Versatiledogs.com and its content is supported through sponsor paid advertising. Without advertisers, we would be unable to provide this quality site free. In return, we ask that you consider emailing a sponsor or supporting their business. By supporting each other, we support the gun dog community.